We finished up our amazing cruise ship adventure in Cape Town. 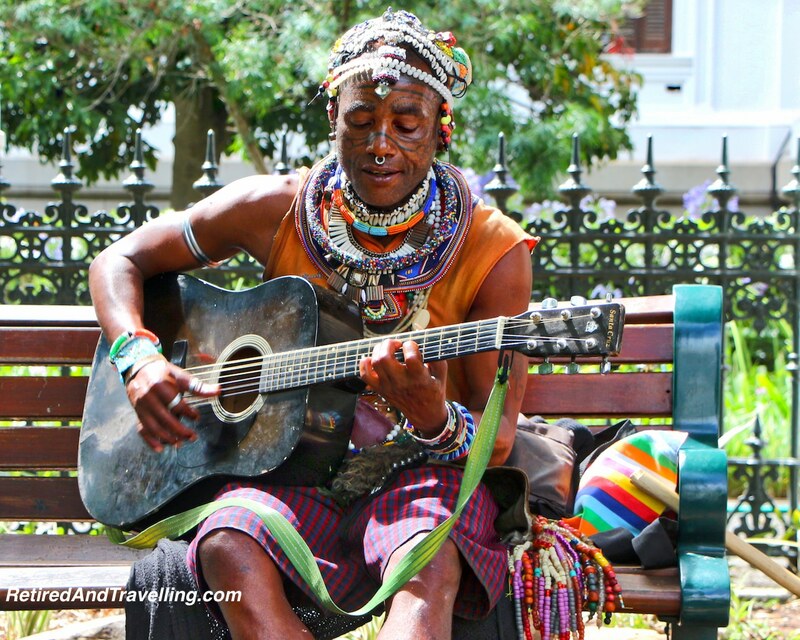 We booked a 3 day post-cruise extension to give us our first taste of Cape Town. People started to leave the ship well before the sun was up to meet early flights back home for Christmas. We were staying in Cape Town for Christmas before heading to Dubai for New Years. Our group got to depart the ship at the reasonable hour of 9am. 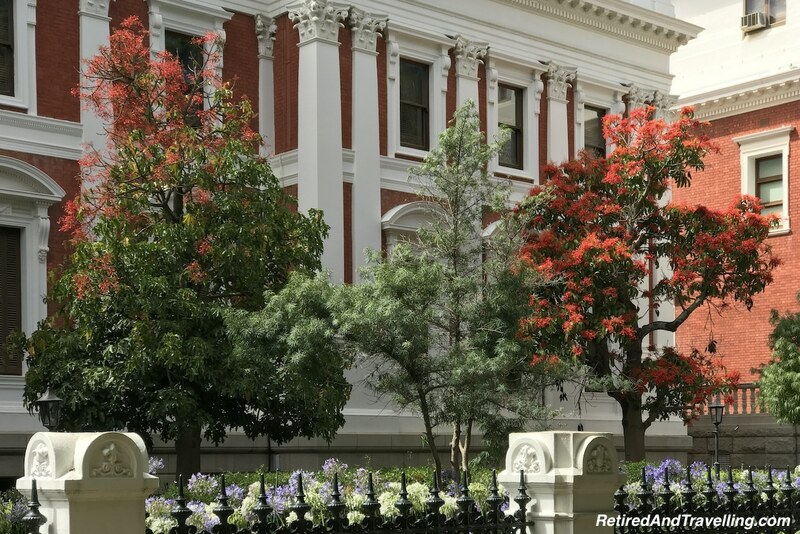 Our first day trip would be a quick tour of Cape Town. We bade goodbye to the Oceania Cruises MS Nautica. It had been our at-sea home for 51 days but it was now time to re-gain our land legs! The post-cruise 3 day extension was a bargain price. It meant we would travel with 3 buses of cruise ship people for 3 more days. 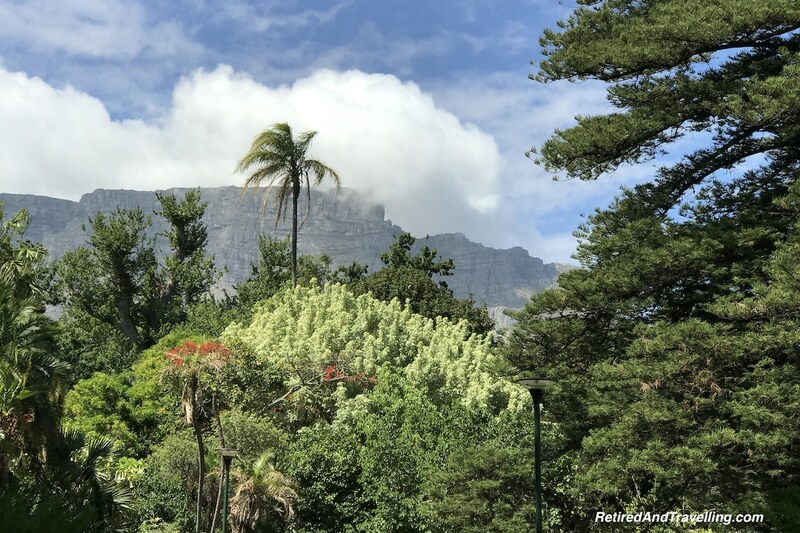 After our quick tour of Cape Town, we would explore the wine region of Stellenbosch and then cross the mountains for a wild animal adventure. 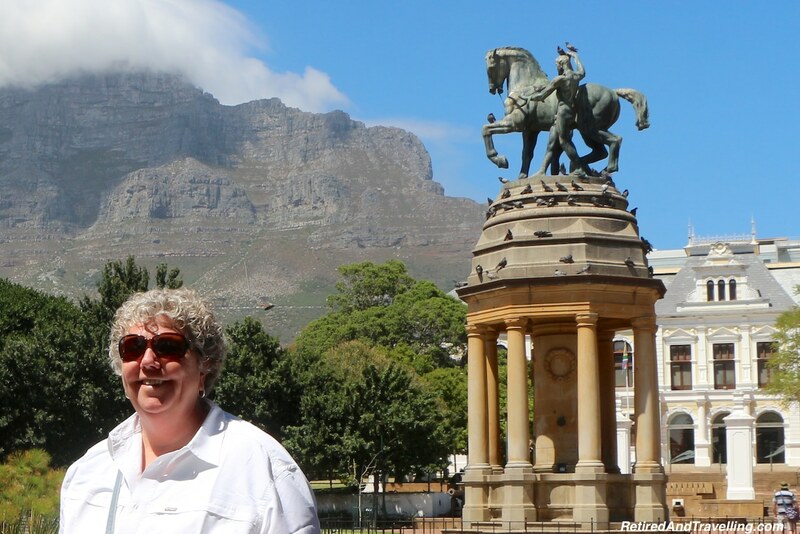 We boarded our bus and met our guide Rod for our quick tour of Cape Town. He would be with us for 3 days. It was soon very obvious that we had lucked out with a good tour guide. 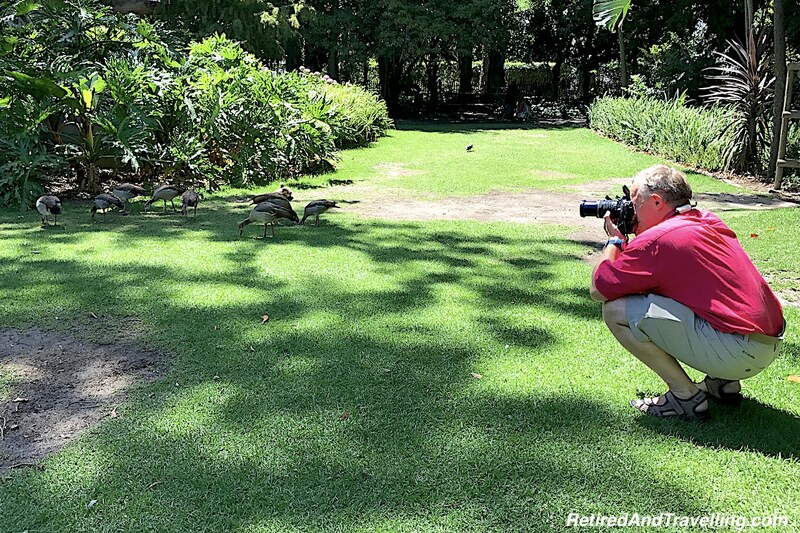 During our cruise excursions for 51 days, our tour guides had ranged from pathetic to awesome. We were glad to be finishing with a good tour guide. The guide on our friend’s bus was so bad that they changed to our bus. They were so glad they did! 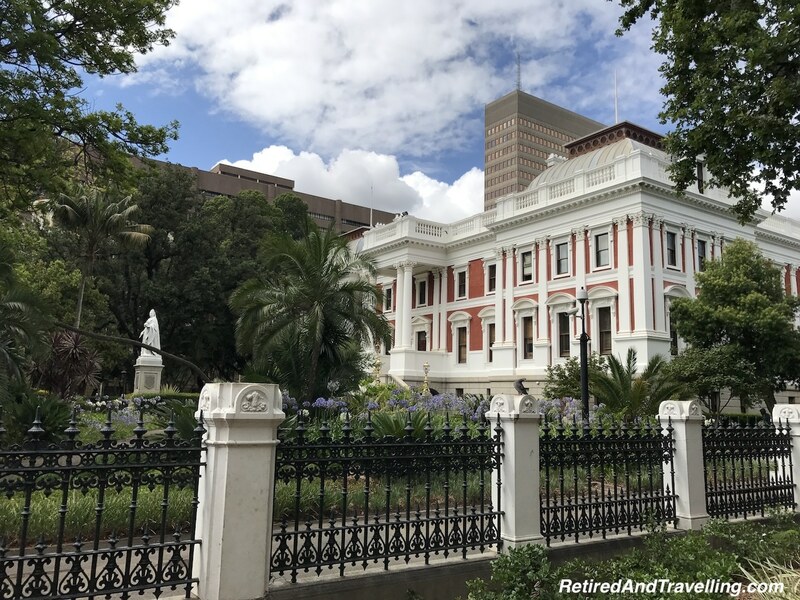 We explored Cape Town and the surrounding area for 10 days. There was so much to see and do. 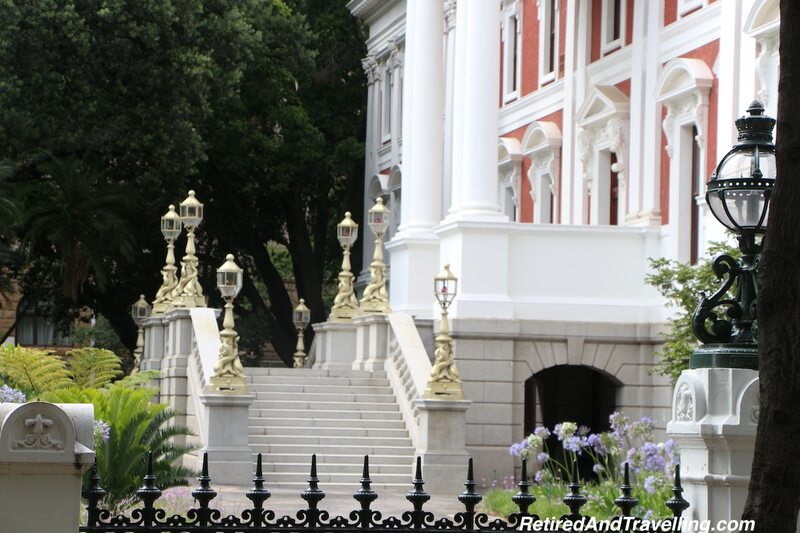 This first quick tour of Cape Town was a great introduction. 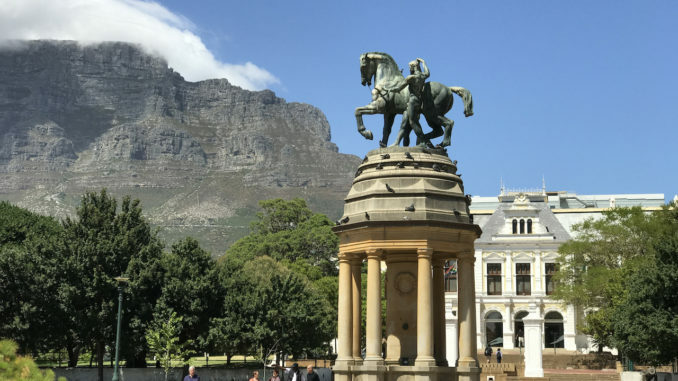 The first part of our quick tour of Cape Town was the downtown area. As we drove around the old city, Rod pointed out the landmarks in the financial district. 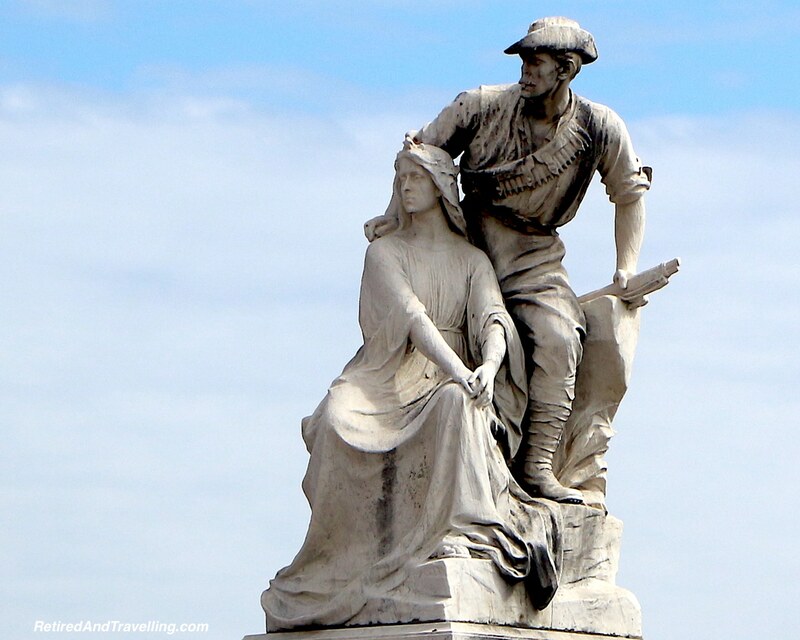 Everywhere we looked you could see yet one more statue with some history behind it. Our main stop in the old city was to walk the Company’s Garden. 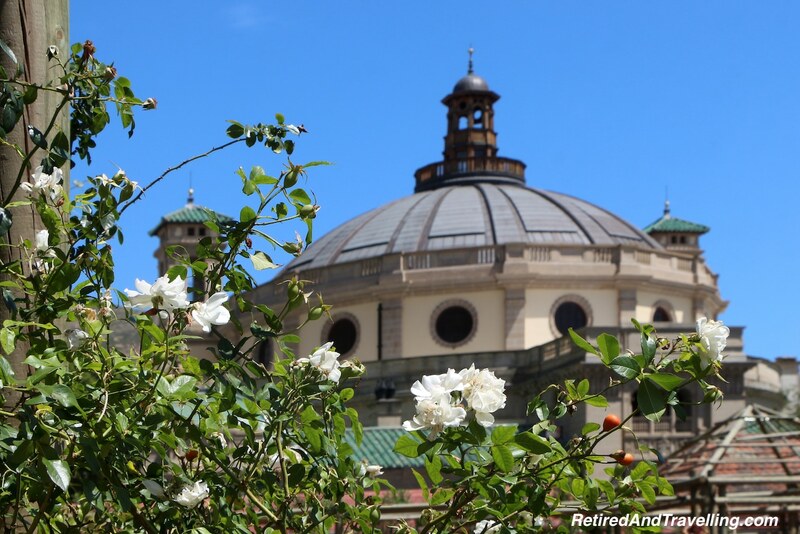 This large public park and botanical garden is a great spot to wander. The Company’s Garden is the oldest garden in the country. 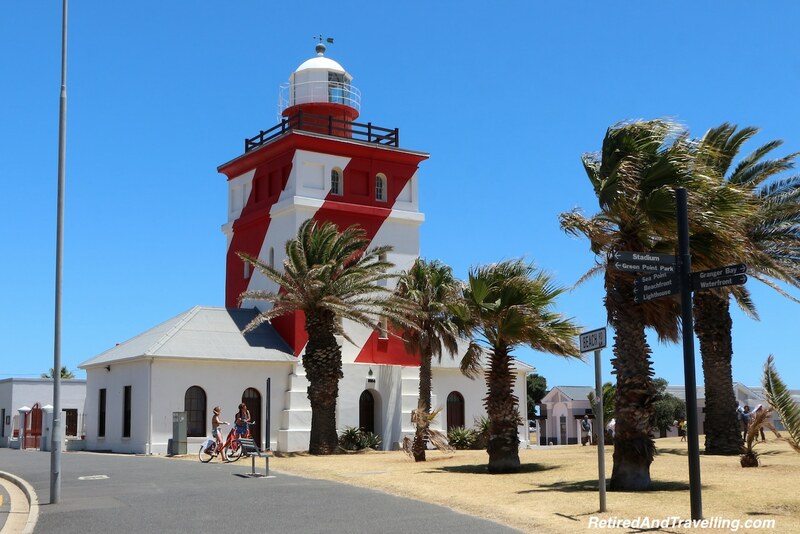 Established in the 1650s by the first European settlers, the fresh produce replenished ships rounding the Cape. 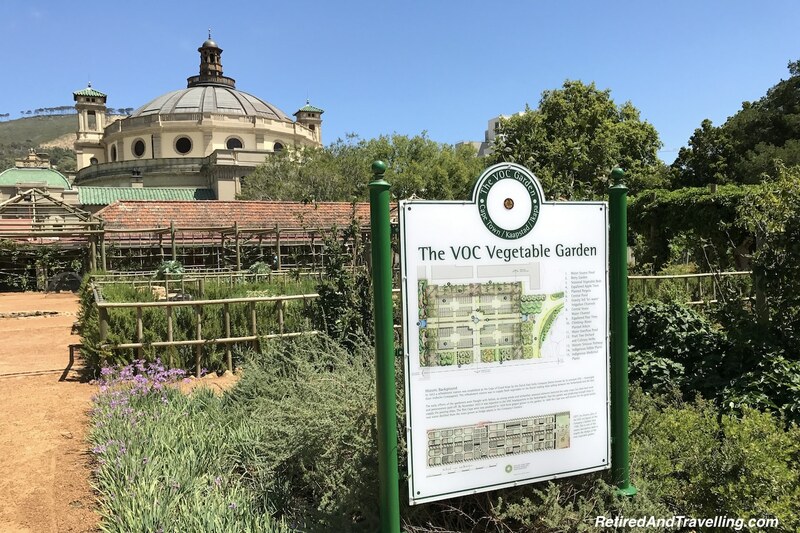 As we walked through the gardens we learned about the local vegetation. 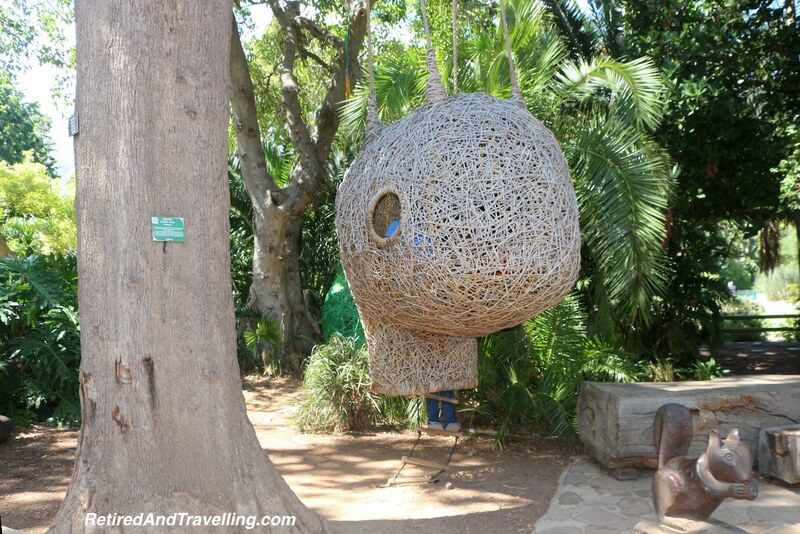 This would be a short introduction that we expanded on when we later visited the Kirstenbosch Gardens. 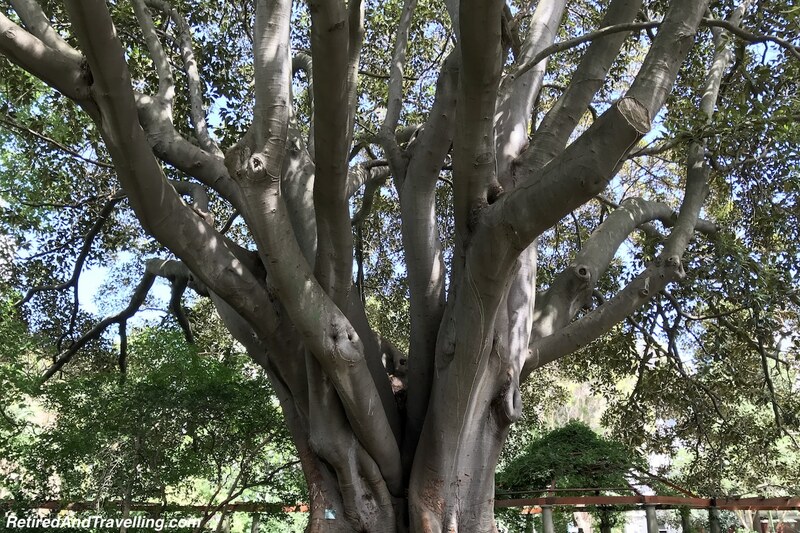 We saw massive trees and the oldest, highest tree in Cape Town. There is even a small vegetable garden in use. It is a great outing for kids of all ages with lots of things to see and do! 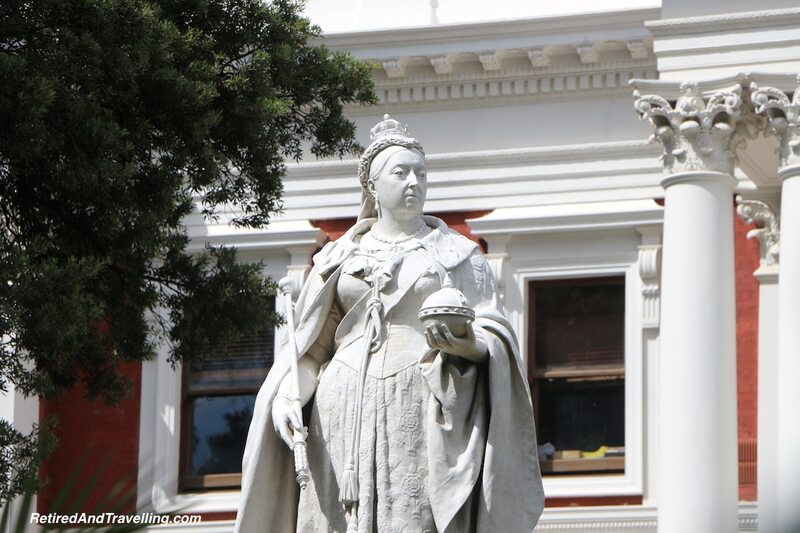 Stopping at the Parliament buildings we could admire the building design and the statue of Queen Victoria in the garden. We saw my favourite African tree, the Flamboyant Tree (or Flame tree). The tree is also referred to as the Christmas tree for fact that it blooms in December and the flowers are bright red like decorations. 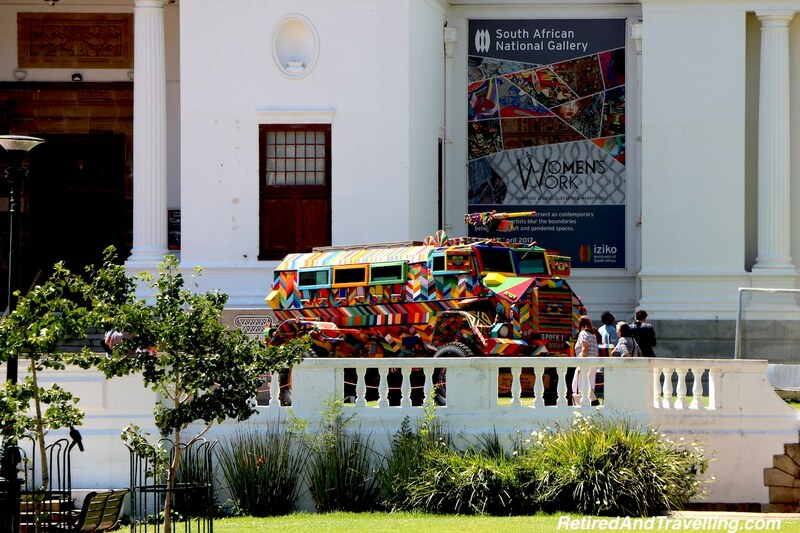 We exited the park by the South African National Gallery and South African Museum. We had time to admire the buildings from the outside but did not have time to visit on this trip. 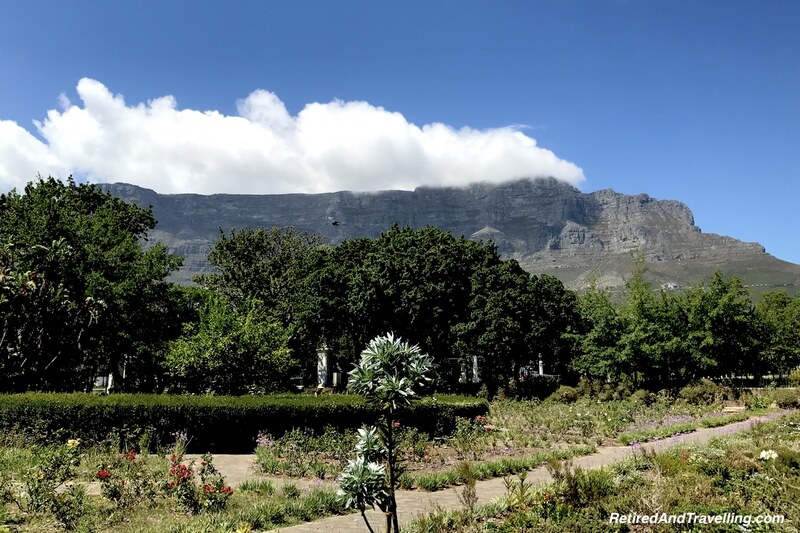 As we moved through the Company’s Gardens we saw Table Mountain towering over the city. As we watched, the fog moved constantly over the top. Rod said that this fog was often referred to as the “Table Cloth”. The mountains that surround the city form the backdrop for the city of Cape Town! 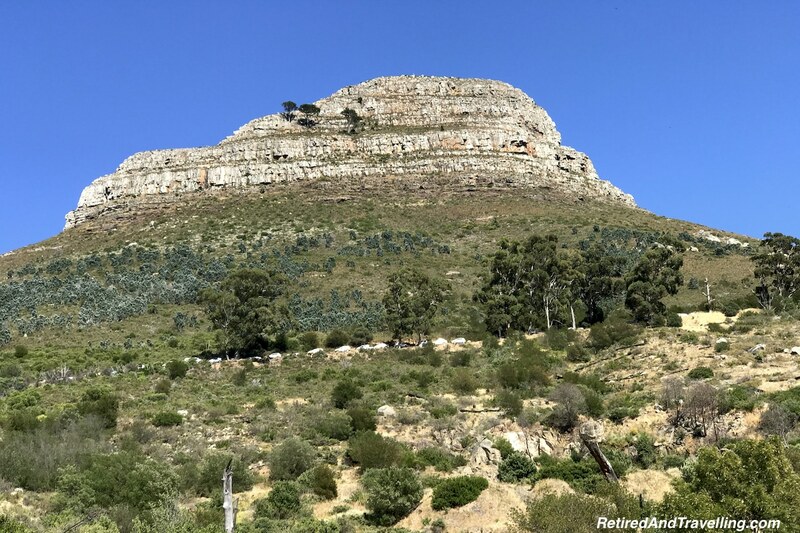 After touring the old town, we took the bus through the pass between Table Mountain and Lions Head. 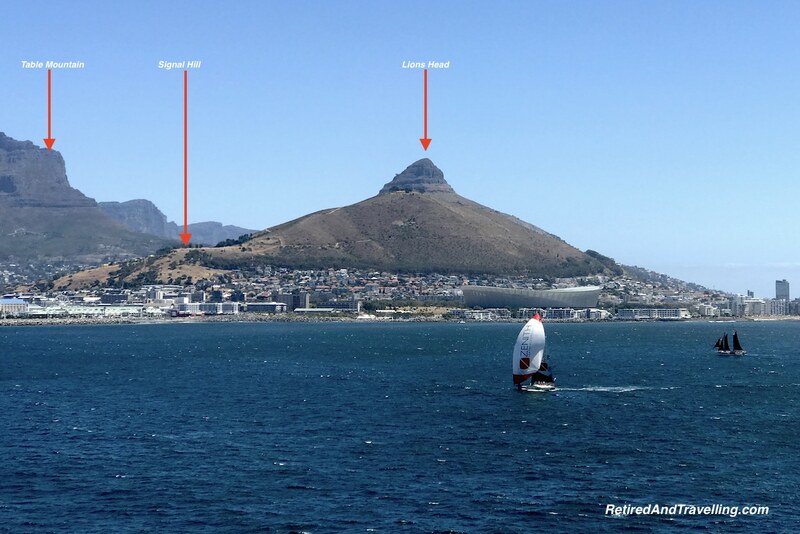 Our quick tour of Cape Town would give us a good view of the high points that surround Cape Town. 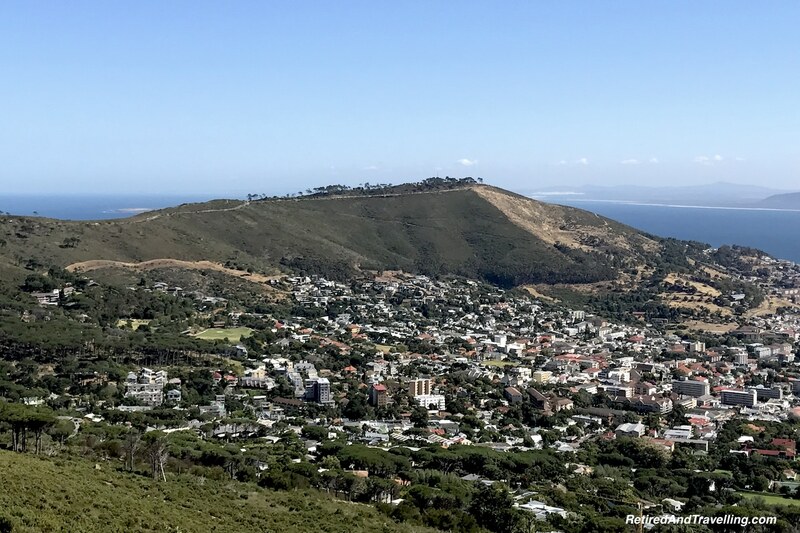 We could see Signal Hill, the smaller of the hills surrounding Cape Town. 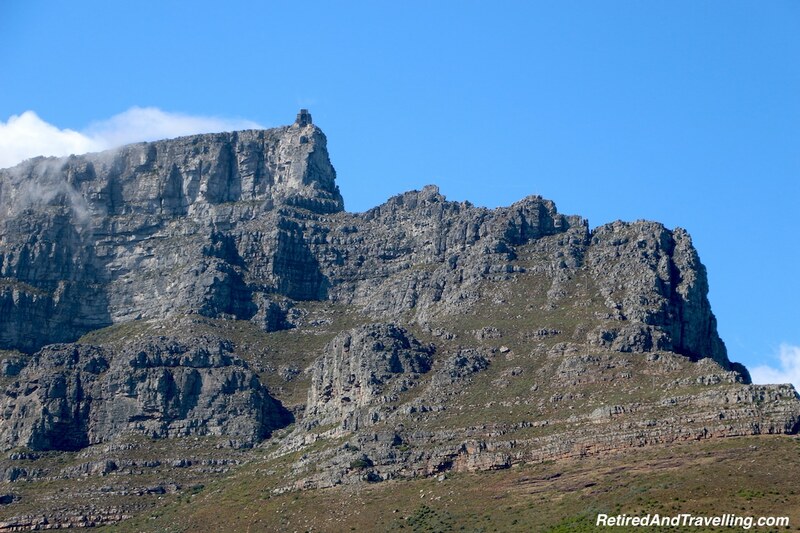 As we drove around, we got to see the high peak of Lion’s Head from different perspectives. 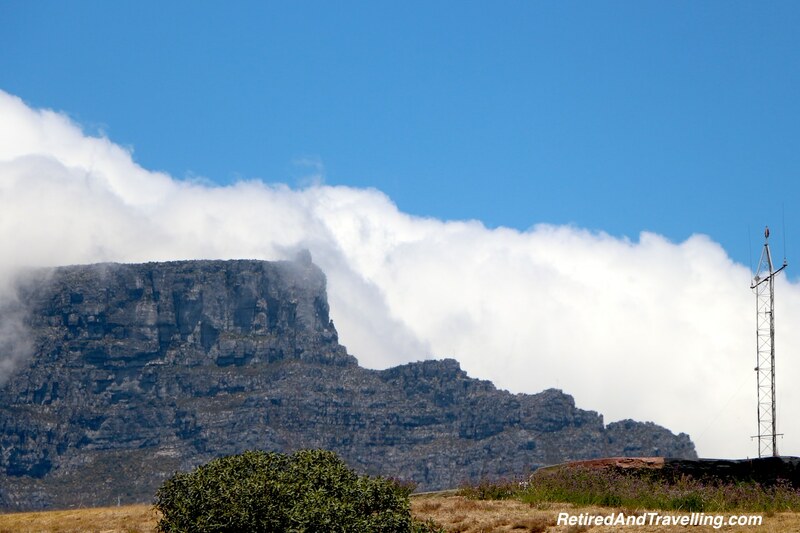 The mountain pass took you closer to Table Mountain. We could see the base station where you can get a cable car ride to the top. We left the trip up Table Mountain for another day. I had not got the geography of Cape Town straight in my head yet so was surprised when we crested the mountain pass to see an awesome panoramic view of coast line. This was the Atlantic Ocean. 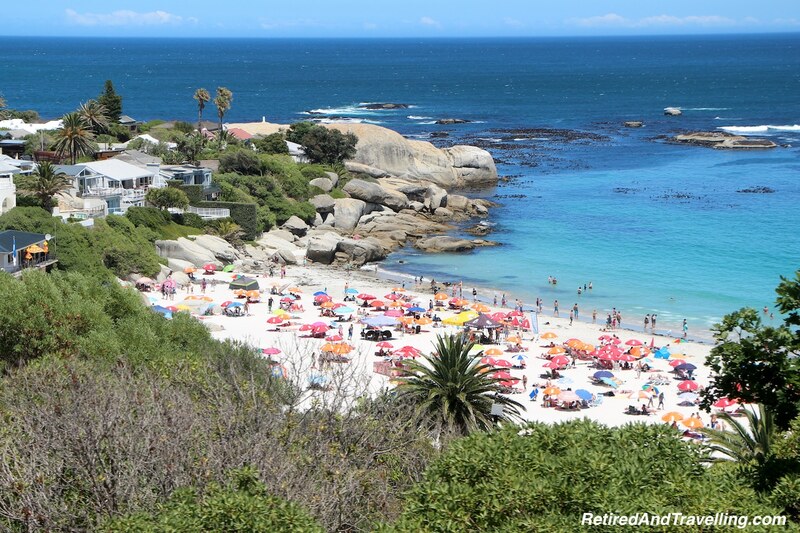 We then headed to the beaches on our quick tour of Cape Town. 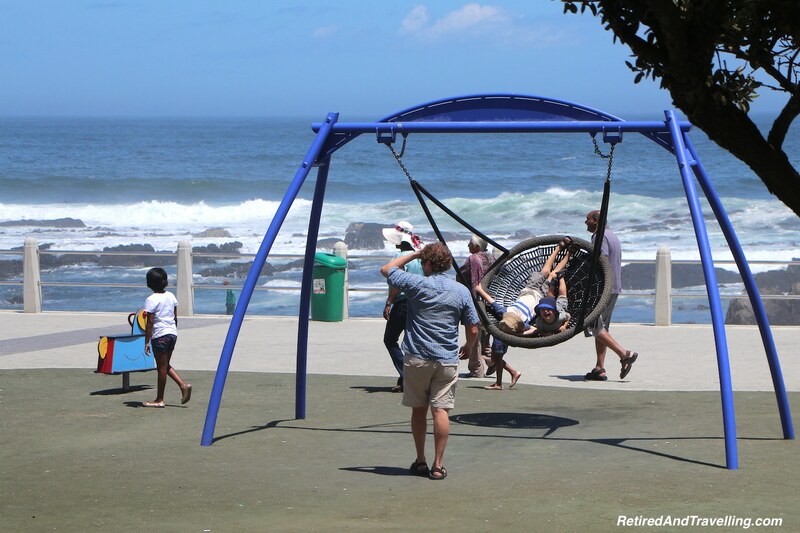 If the mountains are not your thing, Cape Town offers lots of beach fun too! The bus drove down the twisty roads that led us to the sea. 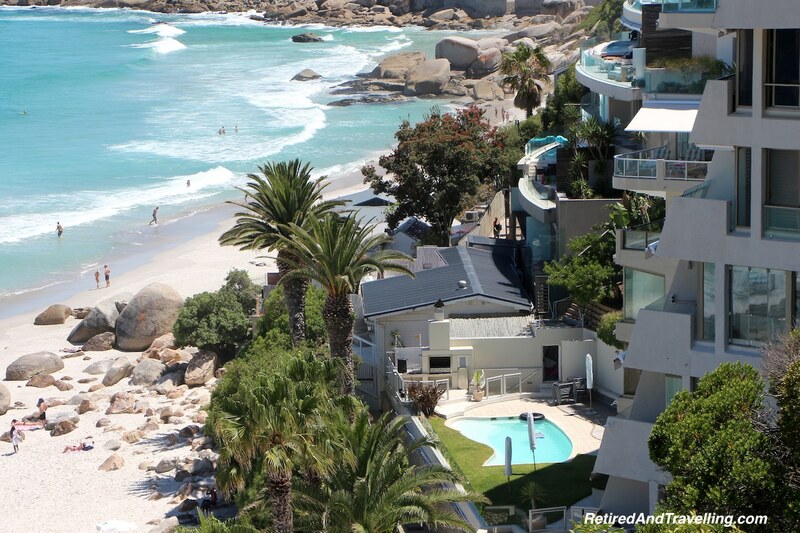 We started our drive in Camps Bay. We could see busy beaches and large stretches of white sand. As we entered through Clifton and then Bantry Bay we could see beaches below the cliff. 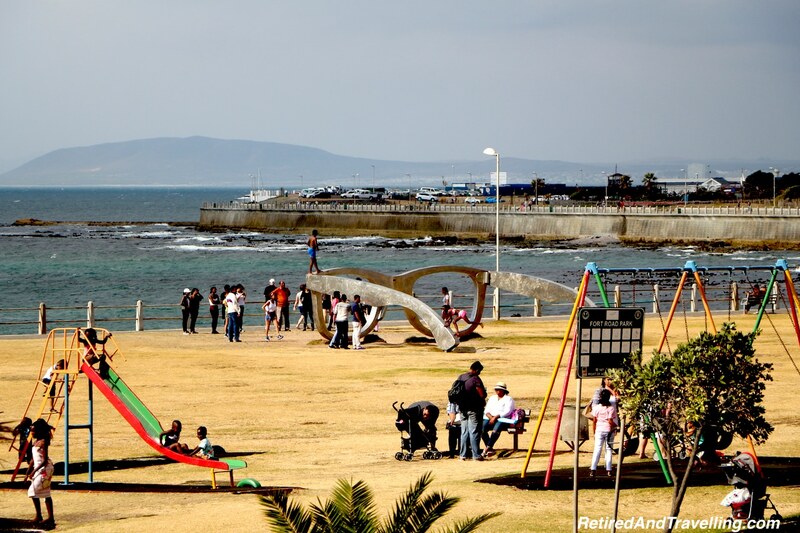 The street was lined with ocean-front buildings dropping down to the sea with great ocean views. 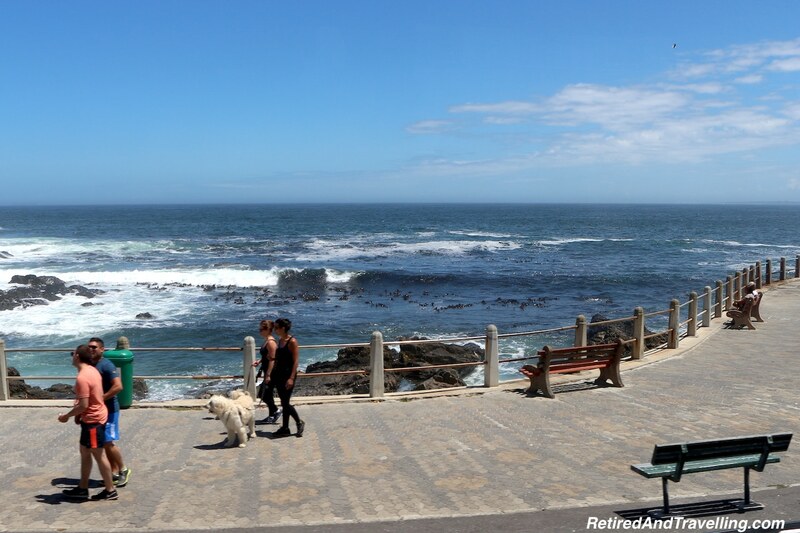 The bus slowed down as we drove along the promenade at Sea Point. 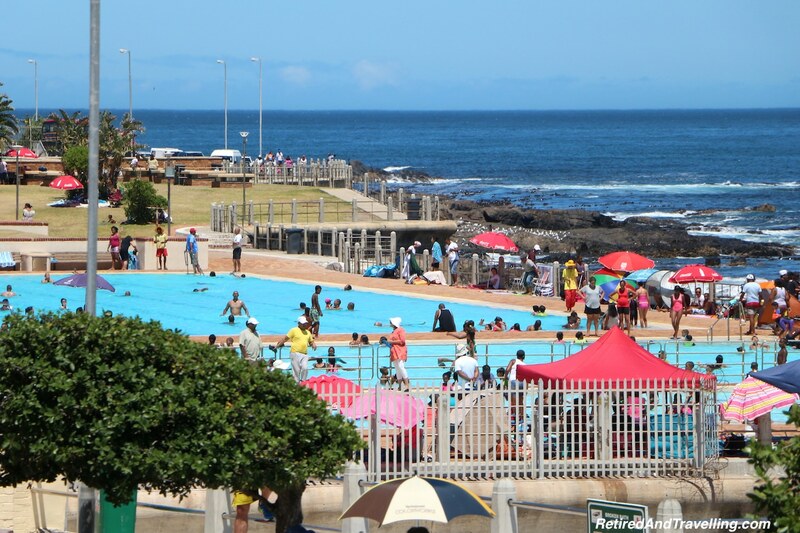 We could see the busy outdoor public pool, the long promenade along the water and the many places for people to play. We stopped as Rod pointed out the Perceiving Freedom statue by local artist Michael Elion. 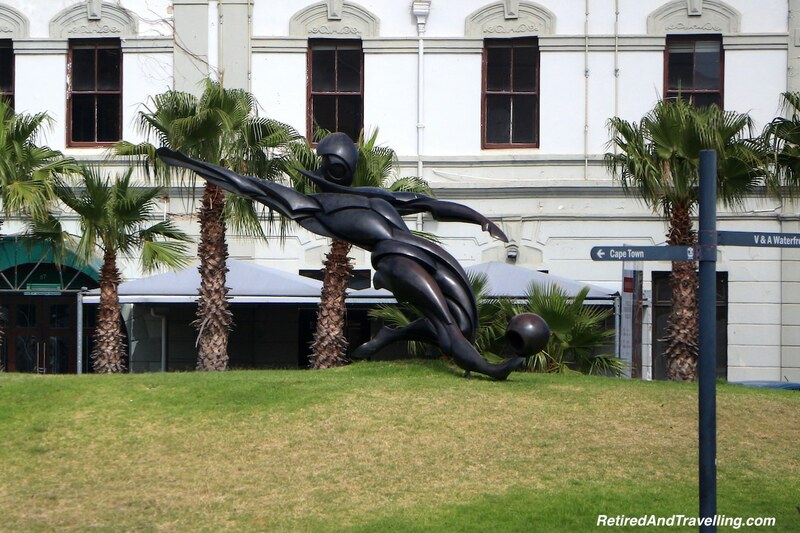 The statue is of a pair of Ray-Ban Wayfarers sunglasses looking out at Robben Island where Nelson Mandela was incarcerated for nearly 3 decades. 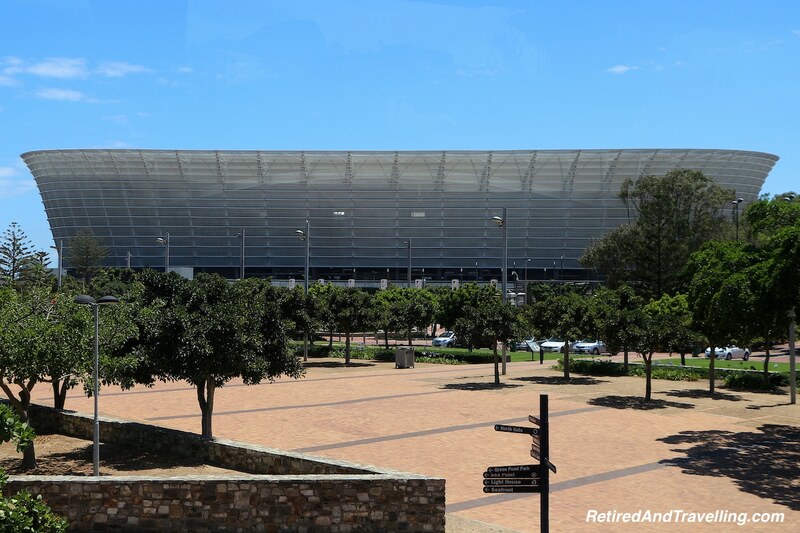 We finished up our beach drive going past the lighthouse and the massive Green Point Stadium. 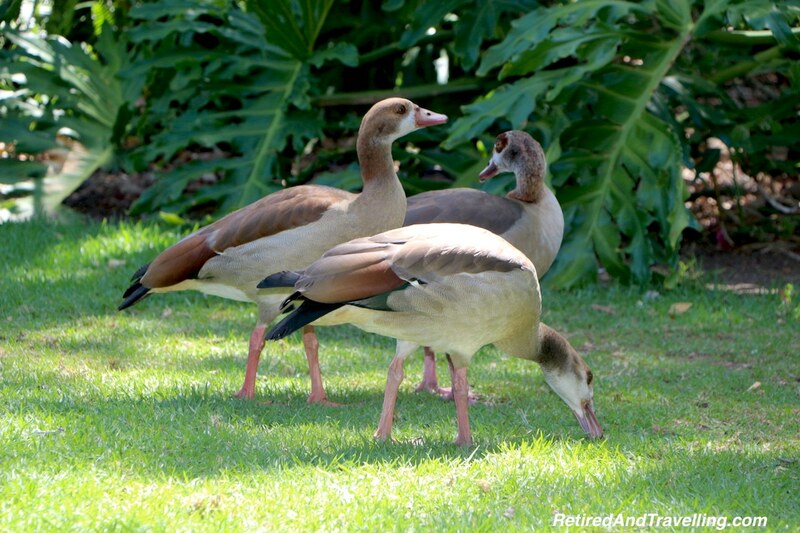 Our post-cruise excursion included 3 nights at the Southern Sun The Cullinan Hotel. Unlike some of our other trips off the cruise ship, this tour company did not do a great job in helping the hotel prepare for 3 busloads of tourists. Our experience was even worse when we found that somehow there was no reservation for us at the hotel. The Guest Relations Manager (Leanne) from the hotel was awesome in responding to our dilemma. She exemplified what true customer service excellence takes. Leanne made sure we had cold water, had us seated and then worked with the hotel to try to chase down the missing reservation. When it was clear that it would take some time to clear up, she made sure we were given a room with a view. 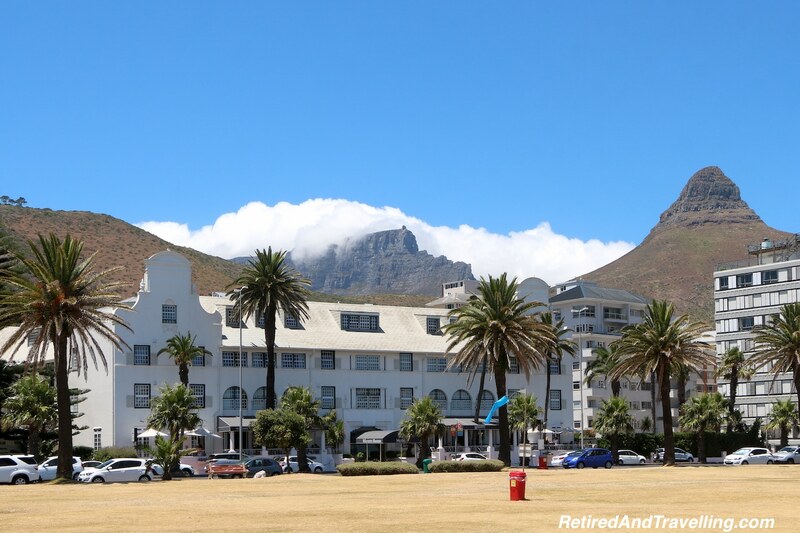 Throughout the first 3 days of our Cape Town visit we found the Southern Sun The Cullinan Hotel to be a great home base. 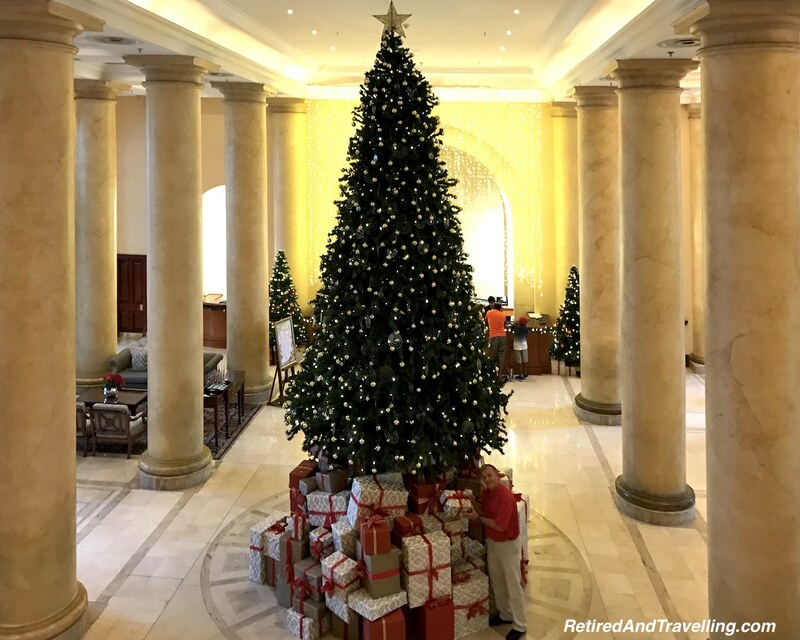 The hotel was decked out for the Christmas holiday with a massive tree. Smaller trees throughout the lobby were decorated with small bags filled with candy treats for the children. Leanne said the hotel even had an egg hunt for the children at Easter. Leanne checked in frequently to make sure that service was great. The buffet food and service was better than any we experienced on our excursions off of the cruise ship. We changed hotels after our 3 day post-cruise excursion period because we had already made firm reservations at another hotel. 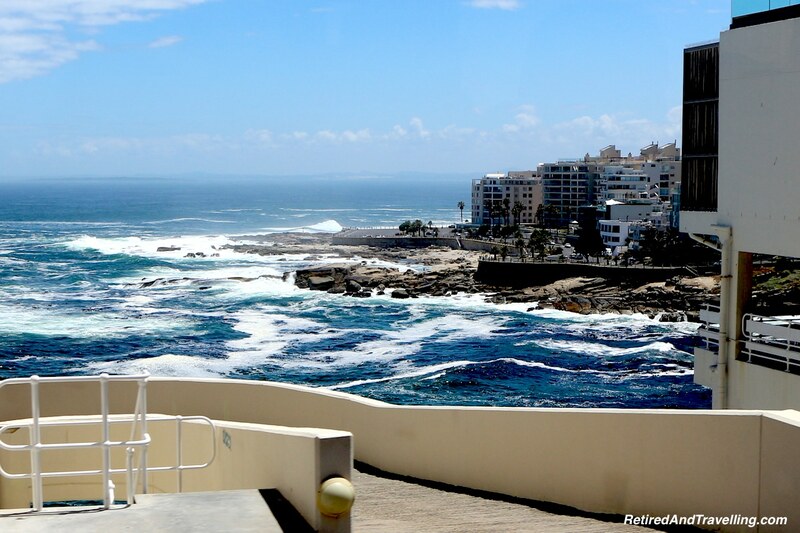 But we would have gladly stayed at the Southern Sun The Cullinan Hotel for our 10 days in Cape Town! 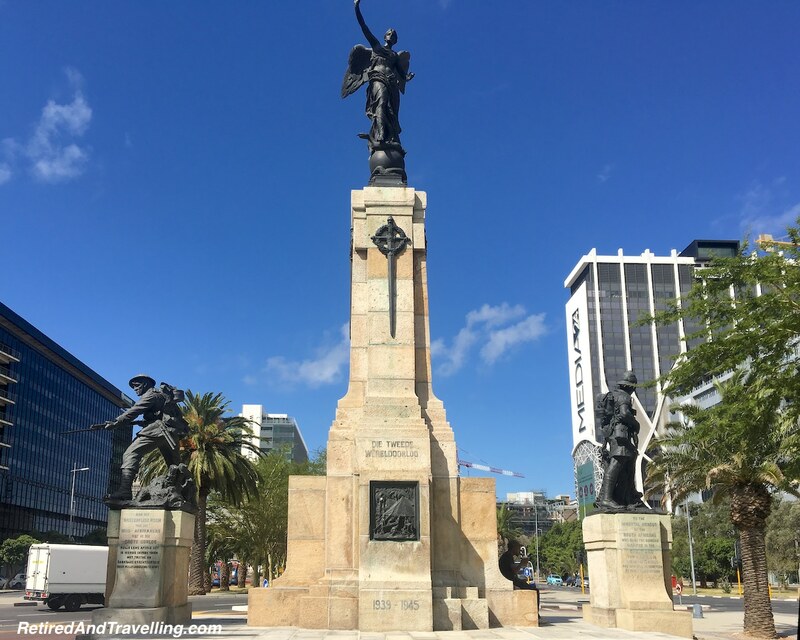 We got a good overview on our quick tour of Cape Town. We saw much of the things that are on the “red” route of the local Hop-On-Hop-Off bus. 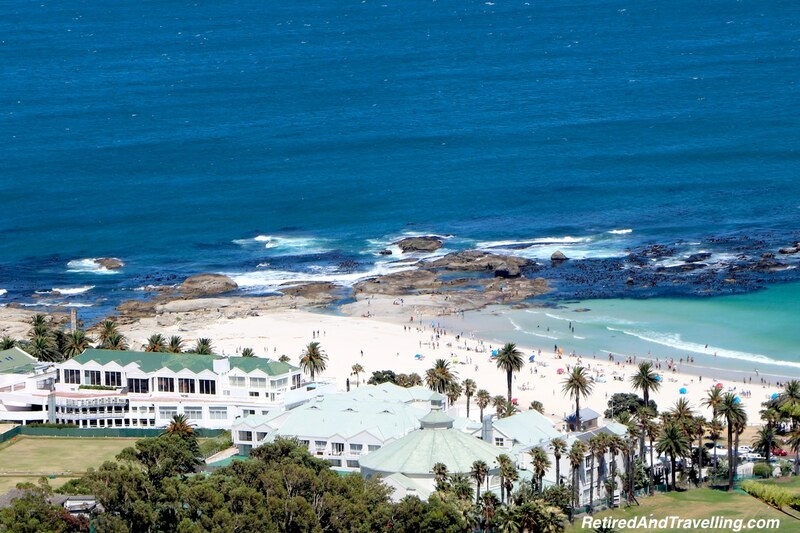 Many of the places we breezed past would be our day trip destinations in the 10 days we were in Cape Town for Christmas. 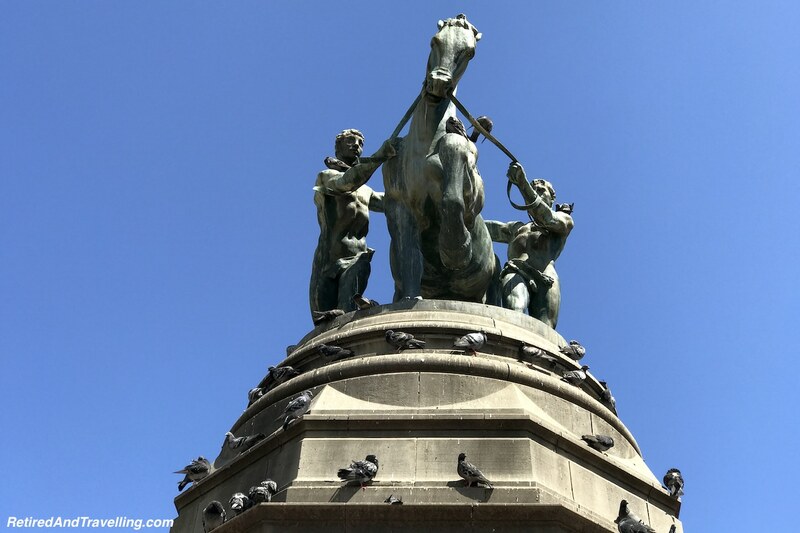 What things are on your list for a quick tour of Cape Town?